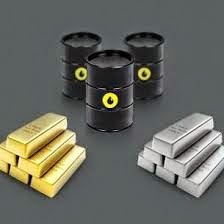 Today MCX Crude Oil July Future has moved down to 0.40% trade at Rs. 6155.00. MCX Natural gas July Future get lead up to 0.12% trade at 249.00. MCX Gold August Future move down up to 0.65% and trade at Rs. 28310.00. MCX Silver September Future also gain loss up to 0.37% trade at Rs. 46072.00.